Recently we (at Science of Skill) have seen an increased interest in looking at Jiu-Jitsu, grappling arts, and all fighting arts as they relate to self defense. So, for this week’s concept piece I’m going to take a tangent from the usual look at training and competition mindset and offer a few thoughts on self defense and the ever-evolving world of grappling (among other things). If you like it, please let me know, as I will likely visit this aspect again. While my formal/competitive BJJ game is in early stages (of a multi-decade journey), I have been studying martial arts that included grappling for the majority of my lifetime. My school has offered a blended system for decades and I first walked through the doors when I was just 17 years old, after having already spent my youth in the Japanese martial arts blend of Shorei Goju-Ryu Karate. At my current academy, we have four pillars to our curriculum: self defense, striking, grappling, and weaponry. 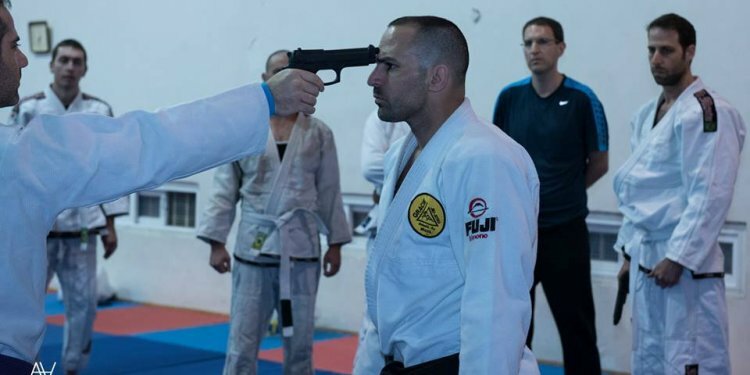 Many of our black belts have run security, worked in law enforcement, have military experience, and/or teach outside courses on self defense concepts and techniques for the real world. Many of our students have used our curriculum to escape sketchy and deadly situations (an unfortunate reality of Chicago life). All of our students must eventually test themselves in high-intensity sparring situations across all four pillars. Of course, self defense is often about avoiding physical conflict by keeping your wits, awareness, and confidence about you. Not being an easy target is many times the most effective way to avoid becoming a victim of attack in the first place. I cannot stress that enough: most attackers, whether they are looking for a fight, for monetary gain, or to satisfy violent urges are looking for a quick and easy win. Off the top of my head (and I may come back and explore this more thoroughly in a future article), I would say that some of the most important concepts in self defense are awareness, demeanor, range, mobility, restraint, and the element of surprise. For this first look into applying martial arts in the real world, I’m going to stick to what we have been exploring over the last year; specifically, Jiu-Jitsu and grappling. Let me spend today dispelling some myths that are often cited in the ridiculous world of “my art is better than your art”.